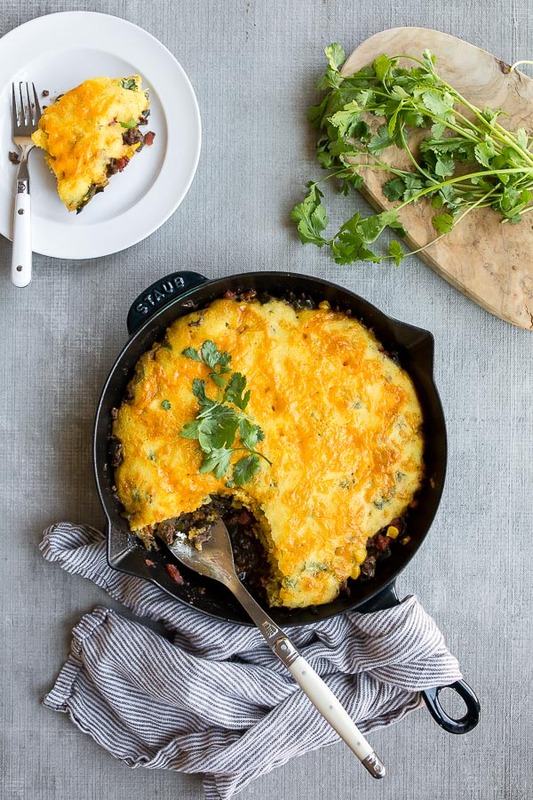 Tamale pie with cornbread topping, all made in one skillet. 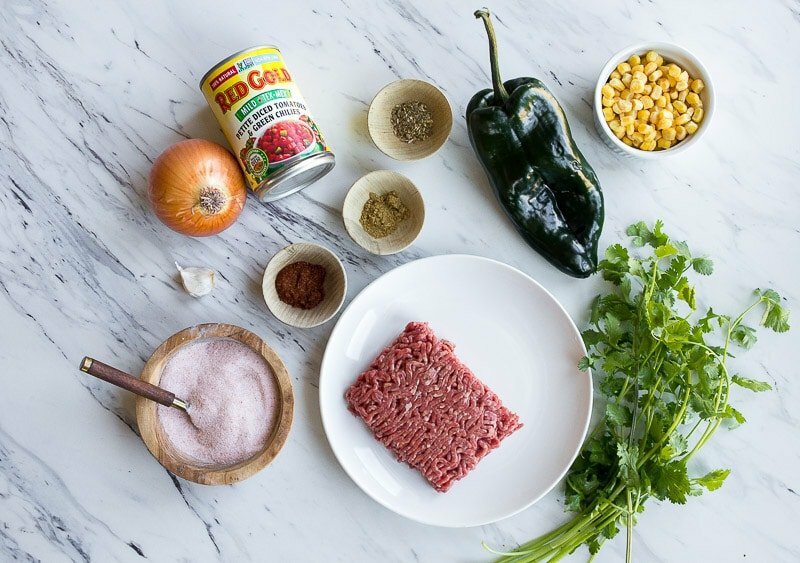 It’s another ground ground beef skillet dinner for two, but with Tex-Mex flavors! I’m not entirely sure if it’s going to be a slow cooker summer, or just a skillet meal summer. I can’t predict the level of laziness I will attain once it’s hot outside and the pool is offering her cool relief. Usually during the summer months, we rely on a lot of sheet pan dinners, like my sheet pan salisbury steak and potatoes, or my honey garlic chicken thighs with broccoli. My Skillet Meals repertoire is a little more well-stocked, with things like Chicken Cacciatore, Lemon Chicken Piccata for two, and Skillet Lasagna. If we’re keeping it super light and healthy, we make my Egg Roll Bowls, Cowboy Steak recipe, or my famously addicting Salmon Sauce recipe for serving over skillet-seared salmon fillets. 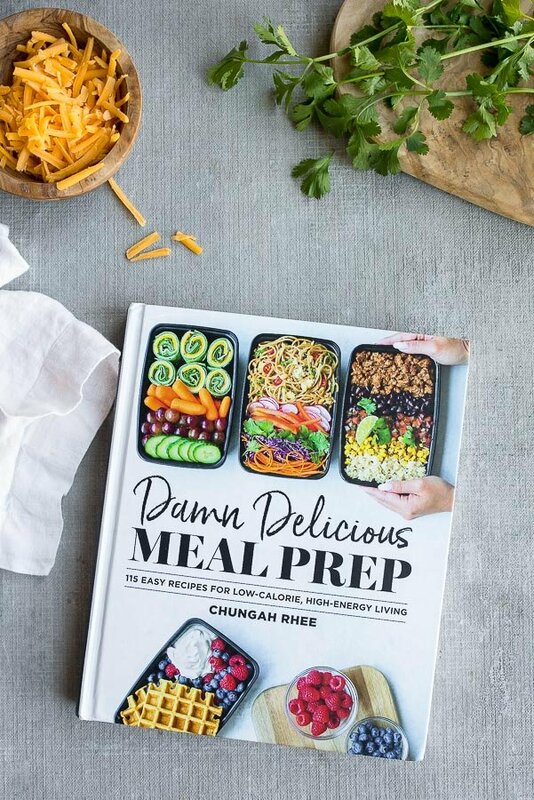 But this year, my friend Chungah from the incredible recipe blog Damn Delicious wrote another amazing cookbook called ‘Damn Delicious Meal Prep: 115 Easy Recipes for Low-Calorie, High-Energy Living.’ I literally want to make everything in the book, and spend a whole summer eating nothing but her delicious, low-cal make-ahead meal ideas. A lot of the recipes serve 2-4, which is perfect for us! I settled on making her tamale pie first, because I had an intense craving for comforting cornbread. Chungah calls for ground turkey in her skillet tamale pie, but I used ground beef, because I always have some in the freezer. 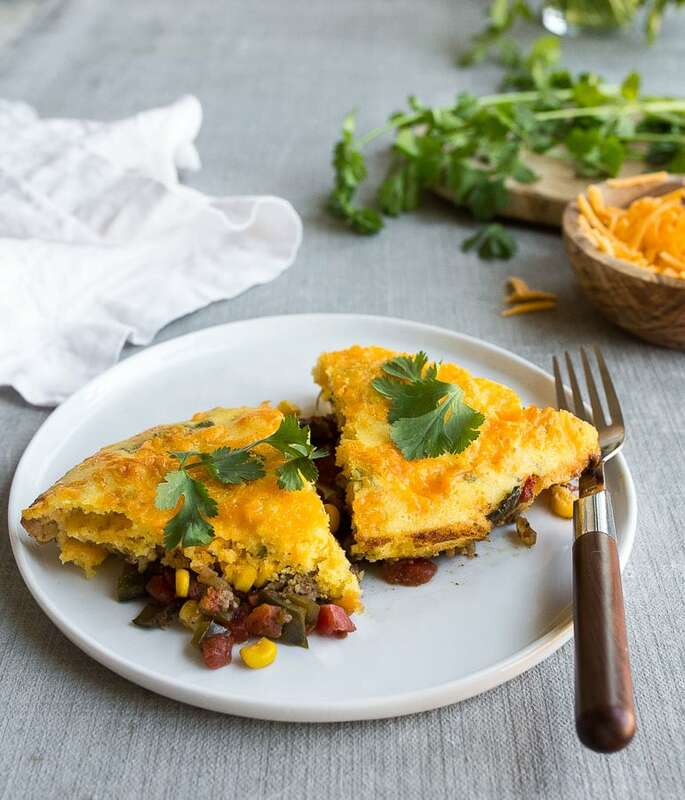 Her tamale pie is full of fresh vegetables, including my favorite pepper: poblanos! The corn and tomatoes keep it super kid-friendly, too. You can make this recipe entirely ahead by cooking everything except the cornbread crust, and then freezing it. Chungah actually recommends freezing it in individual ramekins for portioning out at a later date. I used a small 10-inch skillet to make this a dinner for two. Either way you choose, you can’t make and add the cornbread topping until just before baking, though. The cornbread topping is entirely worth the wait, because it’s full of grated cheese and cilantro. 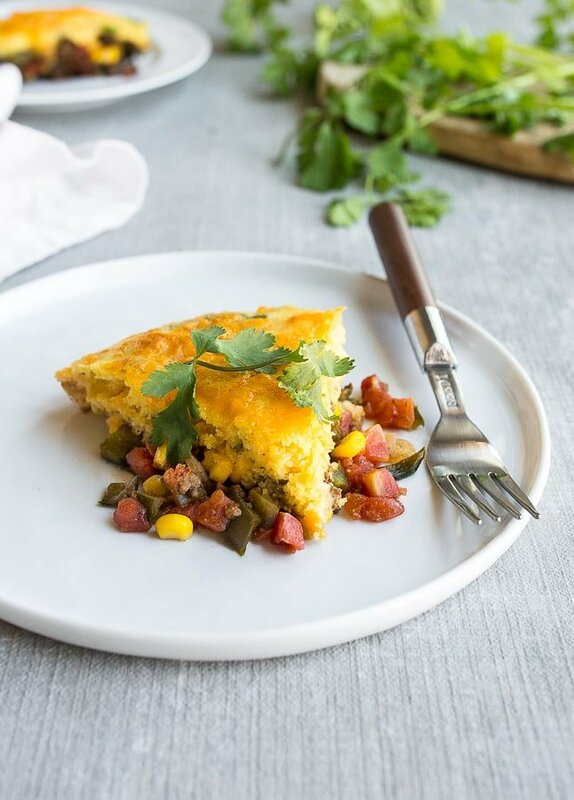 One of the reasons I love Chungah’s recipe for tamale pie is because the topping is made with real cornmeal, instead of a store-bought mix. I always have plenty of cornmeal in my pantry, because we use it to keep homemade pizza from sticking to the pizza pan, and for cornmeal waffles and blueberry cobbler, of course! 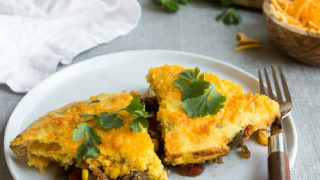 Chungah’s recipe for tamale pie with cornbread topping is a standard mix of cornmeal, flour, a small amount of sugar, and leaveners. It’s made moist with buttermilk (the absolute best), and plenty of freshly grated extra sharp cheddar and finely chopped cilantro. Just a little tip: if you cook for two like I do, buttermilk freezes very well in ice cube trays! Shake it very well before pouring it into ice cube trays and freezing it. Once it melts, it might be a little separated, but just whisk it together. Also, you can absolutely make your own buttermilk by combining 1/2 teaspoon of vinegar with 1/2 cup of milk and letting it rest for 5 minutes. 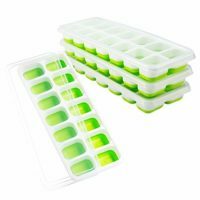 Honestly, I do this all the time when I don’t have frozen buttermilk cubes waiting for me in the freezer! 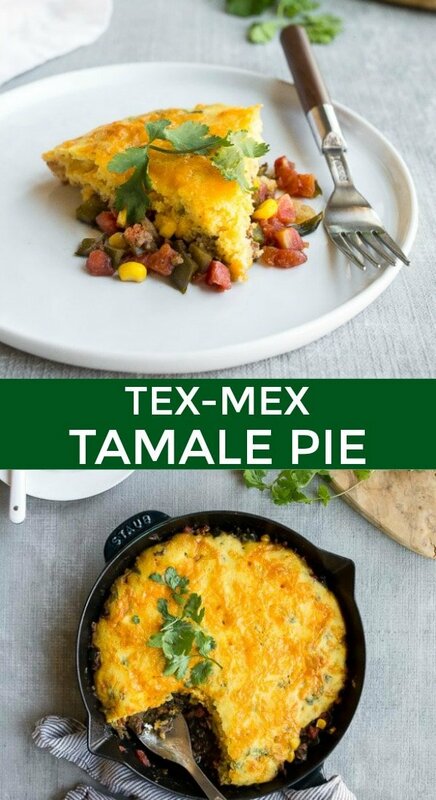 Is this old school tamale pie? I think technically, the tamale pie that I grew up relied on a lot more canned ingredients. And, I think I can recall a can of enchilada sauce in that recipe, too. One of the reasons I love Chungah’s recipe so much is that it relies on fresh ingredients, and standing in for the canned enchilada sauce is a hefty dose of dried spices on the meat while it cooks. 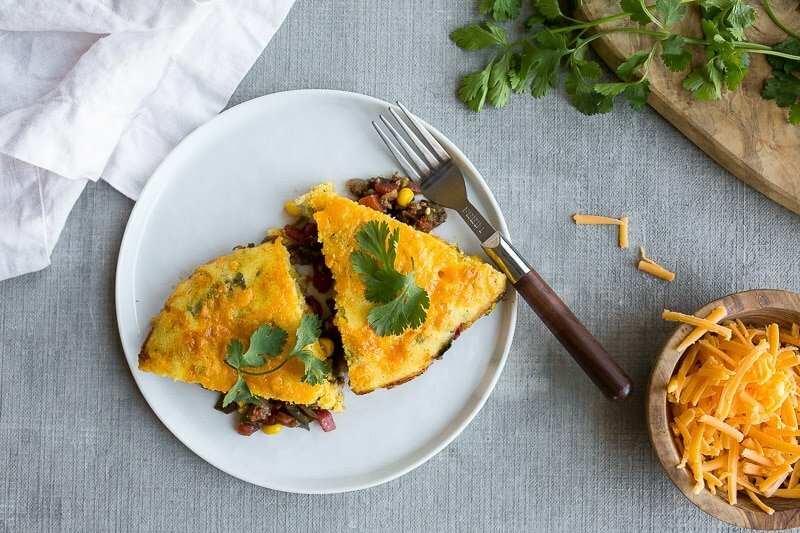 Can you make this tamale pie vegetarian? Absolutely; this tamale pie is so hearty that a can of kidney beans would stand in great for the ground meat! I would saute the onion and poblano with the spices on their own to soften before stirring in the kidney beans with the rest of the vegetables. 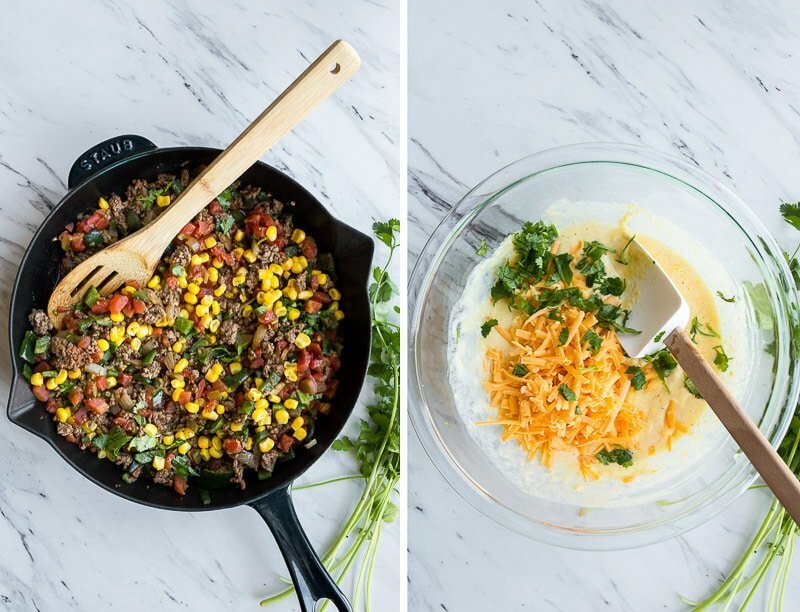 This incredible ground beef skillet meal makes 4 servings, which is perfect for dinner for two and lunch leftovers the next day! It gets even better as it sits, so you will be looking forward to lunch tomorrow! Plus, each serving is only a little over 400 calories since it’s packed with vegetables and lean protein! 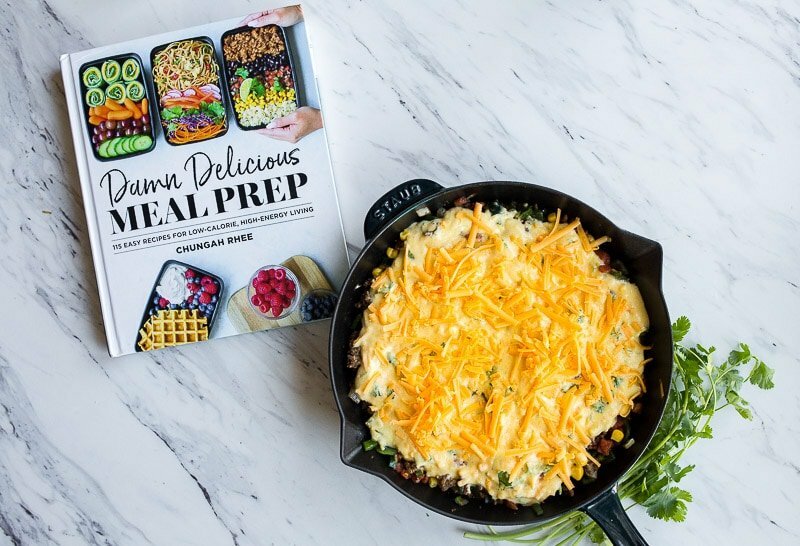 I know you will love this skillet dinner, and be sure to check out Chungah’s new cookbook! In an 8-inch small oven-safe skillet (like cast iron), heat the olive oil over medium-high heat. Add the ground beef (or turkey), and cook while breaking up with a spoon until the meat has started to brown on one side, about 3-5 minutes. Next, add the garlic, onion and poblano to the skillet, and cook for another 5 minutes, until the onions soften and the meat is done. Stir in the spices, salt and pepper, and tomatoes (undrained). Bring mixture to a simmer, and then stir in the corn and cilantro. Remove the skillet from the heat and set aside. If you're making this as a freezer meal, stop here and freeze this part; make the cornbread topping the day of serving. To make the cornbread topping, combine the cornmeal, flour, baking powder and salt in a medium bowl. In a large measuring cup, whisk together the buttermilk, egg and butter. Pour the wet ingredients over the dry ingredients, and stir, using a rubber spatula. Finally, add the shredded cheese and cilantro, and toss to combine. 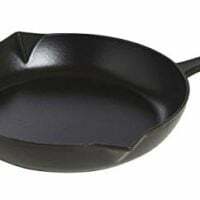 Pour the cornbread mixture evenly over the surface of the skillet mixture, and bake for 20-22 minutes, until puffed and golden brown. Let cool for about 10 minutes before serving. *I use Mild Ro-Tel tomatoes with green chiles. This was so good! I was trying ti find a recuoe for some ground venison, and this was the perfect go-to. Thank you, from a fellow Texan! Made this Saturday night. Was delicious, husband said we need to make it again and again. I did add some chopped pickled jalapenos to the cornbread topping and black beans to the ground turkey mix. Thanks for the recipe!